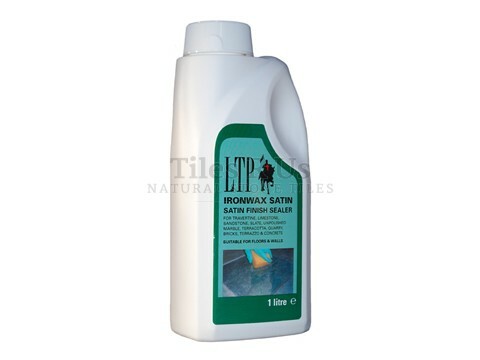 It is a hard wearing ionised acrylic sealer and provides an easy to apply, self shine clear surface seal on quarry tiles, terracotta, slate, stone, flagstones, encaustics, tumbled marble, terrazzo and unpolished marble. This metallised emulsion enhances the colour and texture of floors and helps protects against stains and stubborn dirt making them easier to maintain. On certain more porous substrates, pre seal with Ironwax Primer. Do not use in wet areas. Interior use only. Approximately 15-40m per litre (one coat) depending on substrate porosity.